Last night I had the opportunity to sit outside and gaze at a thick blanket of stars in the exceptionally dark skies of southwest New Mexico near the Arizona border. It came to mind how different the starry skies must have looked to our ancestors. 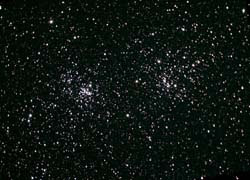 Now we have to go well away from any populated areas to see the stars like this. We rarely go out to look at the pale skies and dim stars seen where many of us live. It's not surprising that stars were one of the earliest pieced patterns dating back to early America. 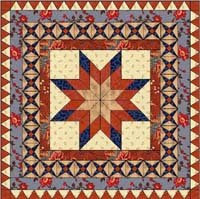 Pieced stars were seen on medallion quilts long before block quilts became popular in the mid 19th century. Sometimes a large star was the centerpiece of such a quilt and other times we see multiple stars in one or more borders surrounding the center. Or stars could be found in both center and border as in the example on this page. This is just one way quilts can tell us something about what was important to women in much earlier times.